I've had this post in my drafts for over a week now and have been meaning to publish it. I have had the worst luck these last few days, minus today of course was the first day in a while that I actually didn't have anything horrible happen. A few days ago a huge storm came through one of the biggest ones we've had in a while and it rained for hours on end pouring down. Roads, yards, and many basements were flooded. We've had our house for a little over a year now, being a new house we figured it wouldn't happen to us. Well that wasn't the case at all I swear we jinked it thinking it wouldn't happen to us. I don't even remember the last time it rained here, let alone the power going out. I believe I was a little kid the last time I remembered the power going out at my parents. I hate it and I don't realize until it happens how I take for granted little things like having power, being able to use electricity, air conditioning, lights, computers, cell phones, charging my phone. Well our basement flooded because we had so much rain at one time our sump pump couldn't pump out enough at one time and ya. Long story short yesterday when the power finally came back on I had to clean out the mess, asap. Me & my fiance having OCD about the house being clean we were freaking because there was nothing we could do. Finally after hours of cleaning and a awesome crew that came by to help its all good and I can get back to what I enjoy. Sorry I dragged this one out. I recently got this haul and filmed a video so I'm going to get right into everything. I purchased a few of these for my giveaway if you want to check that out click here so I got myself a few. These polishes are really actually pretty nice for the price. I have used the Club Havana on my toes a few days ago. It is very opaque and I love the quality it is. I have not used any other wet n wild colors however, after using this one I will be purchasing more if I like the colors. 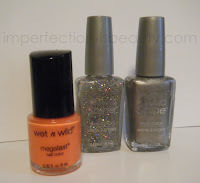 Product Description: These wet n wild polishes are from two different lines. Club Havana is about .50 cents more expensive which is nothing, they have megablast, and wild shine. I have not used their wild shine the taller .43fl oz. I have used Wild Havana the smaller .30fl oz orange peachish color on my toes currently. After one coat it was pretty opaque although, I did put two. I am very happy with the quality, color, and shine. The megablast is more of a matte finish. I like the fact that the color lasts, and for the price you really can't complain. I will give and review on the wild shine when I get a chance to use them. I purchased these two because I have been reading a lot about the upcoming fall colors, and trends and metallic's are definitely in. 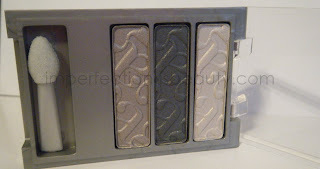 I have not got a chance to use the Almay trio palette. I have read some good reviews. They didn't have a green eyes one so I picked up the hazel eyes. I didn't get this for the eye color I figured the colors looked pretty pigmented and it it would be a great palette to play with. I didn't get a chance to swatch this palette but I'll do a full tutorial, and review with swatches when I get a chance to use it. 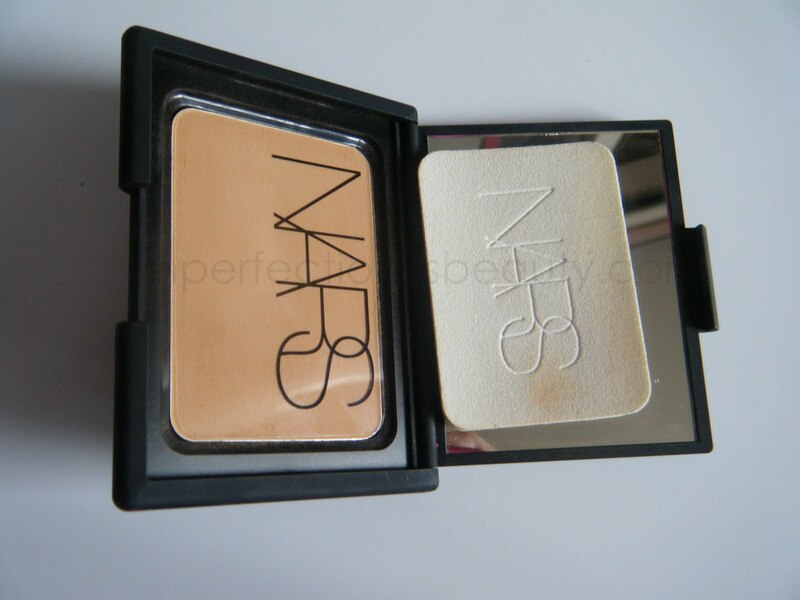 Product Description: The Nars pressed powder has a soft silky feel with no residue, or buildup. It leaves a very nice full coverage powder. Its actually a perfect summer powder. Its really light weight, and does not cake. You can wear this alone, or for a soft natural finish. This powder is a little bit on the pricey side, although it is worth the price. I do love the fact that it lasts throughout the day and really looks flawless. 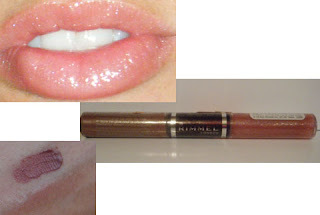 Product Description: Rimmel London's double ended two step lip gloss/ lipstick is one of the best makeup creations yet. These fabulous two quick and easy steps for 10 hour high enduring shine. Step 1: lightweight non-sticky liquid lipstick makes lips looking healthy, and sultry. Step 2: pearly liquid gloss top coat seals and magnifies color with a crystal shine gloss effect for the ultimate glass shine finish that will stay put. Overall I really like this two step system. Although the color isn't really something I'm to huge on. The product does last a very long time. I'm not sure if its "10" hours but I really didn't time it. Its kind of like a stain I'd say I tried to scrub it off my hand after I swatched it and it did not come off. Product Description: The F80 flat top kabuki brush is used to apply a flawless looking finish. 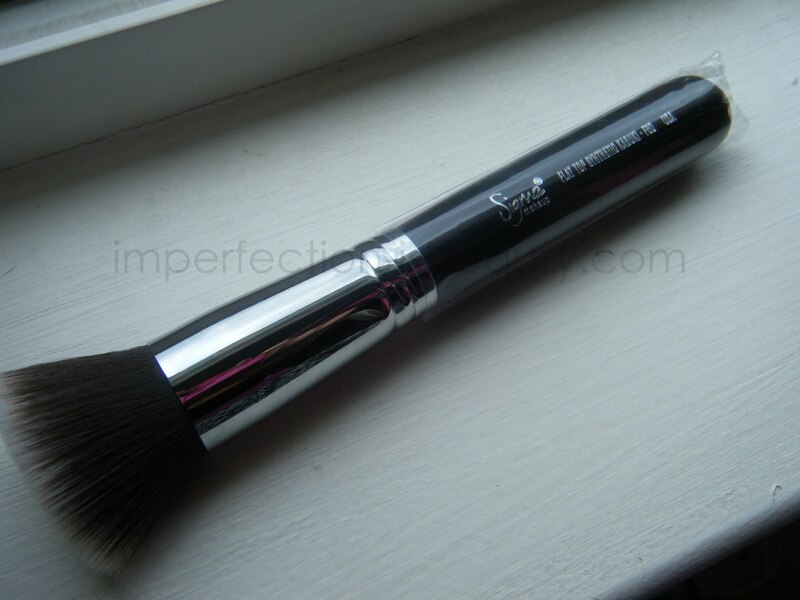 The Sigma Makeup F80 is a buffer brush that can be used to blend powder or liquid products. Made of Synthetic Sigmax HD filament. Overall this brush is probably my favorite brush. 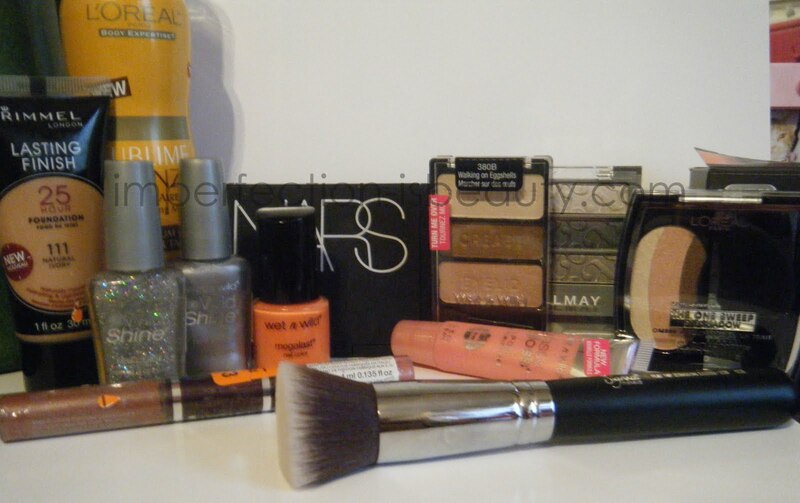 I love applying my liquid foundation with this brush I have not used this brush for anything other then liquid foundation. I do highly recommend it if your looking for a good quality brush for liquid foundation. Product Description: This new formula lip gel is light has great consistancy and has great staying power. I love the fact that it is non sticky and isn't so thick that your hair gets stuck in it. They have some great colors to choose from and if your looking for an ultra shine moisturizing lip gloss that doesn't dry out your lips these are some I highly recommend and will definitely be picking up a few more. The price is great, and overall the product is amazing. Very comparable to the MAC lip glosses. Product Description: 25 Hour Wear. Sweat, heat and humidity proof for up to 25 hours. Transfer resistant. Enriched with a revitalizing Mineral Complex and moisturizing Aqua Primer. Skin feels energized and hydrated all day. Naturally Flawless, Hydrating and Lightweight Feel. Overall the color is a little to dark for me but I've been mixing it with a lighter foundation to get both the use out of them. 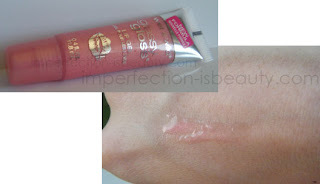 Its very easy to apply, blends well, long lasting, and has a matte finish. It does feel a little bit heavy, and I think the coverage is medium. So if your looking for a fuller coverage this might not do to well for you. 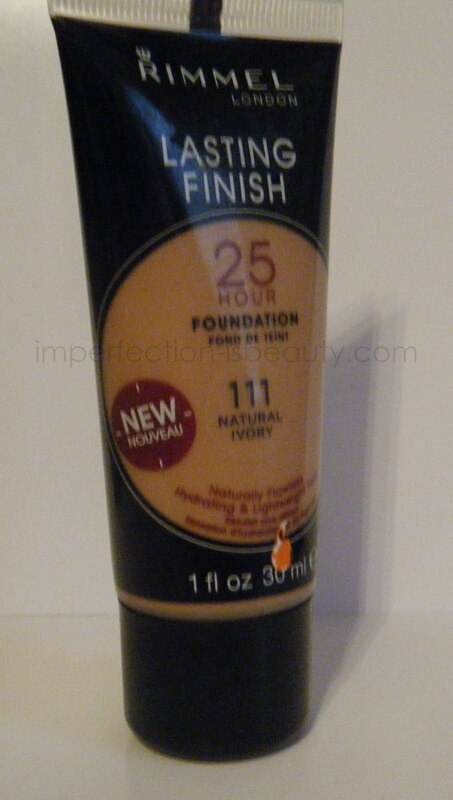 I don't like the fact that its heavy, and feels like you have foundation on. Although, its a little heavy I do like how long it lasts and I will be using this periodically during these summer humid days. 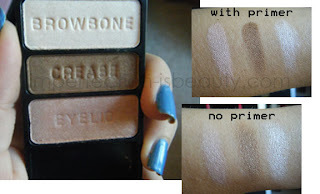 Product Description: This wet n wild palette is very pigmented. Each color is sheer, and great quality. I love the colors in the palette. Each color is labeled to let you know where to put it for beginners. The eyelid color is a light campaign color that looks great on any skin tone, its very comparable to the urban decay naked palette. 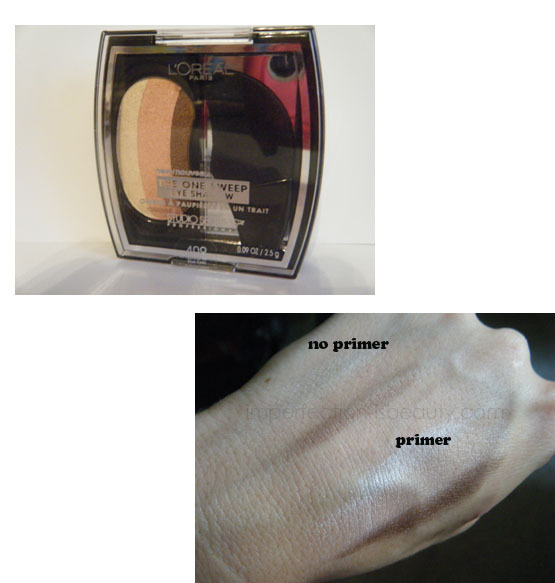 The crease color is a medium brown color that is a perfect shade of brown. I definitely will get some use out of that color. The brow color is a gorgeous highlight color, you could use this color on your brow as well as a cheek bone highlight. The products are smooth and glide right on. They blend easily and look fabulous. Overall for the price this is a great buy. It long lasting, and very great quality. I haven't purchased any wet n wild anything really until this haul and I definitely hope all the other palettes are this great. Product Description: This easy 3 shades in one sweep defines, colors, and highlights your eyes. I don't think it works. The applicater is a little crappy, and its a big huge headache to get it to sweep on all the color in one sweep. I don't like this technique one bit. I don't know if its just me but I'd rather go in an apply it on my own rather then in one sweep. I wasn't too happy with this products purpose. However, I do like the colors of course because their brown neturals. Two of them are pretty pigmented the other its just plain jane. I might use this with my own brushes but the whole "one sweep" thing does not work. Bummer, the idea is great if it worked. 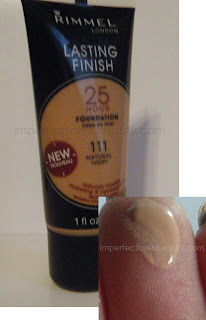 Last but not least I did not take another picture of my L'Oreal Sublime Self Tanner Spray. It is just like any other self tanner. Its reccomened to shave, and exfolite before applying. I'm a huge self tanner junkie, I try just about any self tanner. This by far is on the top 5. For the price its amazing. It doesn't have a harsh smell like a lot of them. It goes on easier then any other self tanner spray, and it dries super quick. That I was surprised because many self tanners take forever to dry, and have a oily, wet finish this one does not have any wet oily look thank goodness. Its directed to apply however many days until you get the perfect color, and after you reach your desired color apply it once, or twice a week. I will be repurchasing this until I try another product. I do reccomend it over my June Favorites self tanner for sure. I hope this post was useful although it was very long. Here's the video if you wanted to just watch my haul rather then read it.